In Oracle database management system we perform four main operations on table Insert,Select,Update and Delete. These all are DML Operations i.e. Data Manipulation Language operations. So COMMIT command is required after executing above command on table. Above insert query create new record in the table and insert Value1 in Column1, Value2 in Column2 and so on. Above update command update existing column values to new values using SET keyword. Oracle delete query delete records from table. Above delete command delete records from Table_Name who satisfying condition next to where clause. So after executing above commands COMMIT command is need to execute for commit all changes in database. Drop: Drop oracle command is used to remove complete table from database. As drop is DDL so commit operation not required after drop query. Table_Name can be any table name that you want to delete from database. Purge is optional keyword. Drop Table have purge option. Purge is used to delete table permanently from database. If you have used purge with drop table then that table directly deleted from database can not recovered if required.Table delete with drop and purge will not stored into recycle bean. Truncate : Truncate Oracle Command is used to remove all rows i.e. all record from table. This command not delete table definition from database.Truncate is DDL command so commit not required after truncate oracle table. Truncate is faster than Delete. Where clause can not be used with Truncate command. Delete : Delete Oracle Command is used to remove all, single, multiple rows i.e. all record from table. This command not delete table definition from database.Delete is DML command so commit required after Delete command to save changes permanently. Delete can be used with where clause. Delete is time consuming and slow compared to truncate. Click Here for Oracle Database Insert,Select,Update & Delete Table Operations. Hello In this post we are going to learn ALTER oracle command. Oracle ALTER keyword is used to change properties of existing oracle object i.e. Table. Oracle ALTER Table is used to add,modify,delete existing column of Table. We can change Database name using Oracle ALTER table keyword. Above Add keyword is used to add new column to an existing table. Above Modify keyword is used to modify existing column from an existing table. Above Drop keyword is used to delete column of an Table. Above Rename Column keyword is used to rename existing column name Column_Name_Old to new name Column_Name_New. Above Rename keyword is used to change existing table name Table_Name_Old to Table_Name_New. 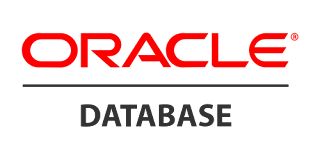 Oracle Create table command used to create table in oracle database. Table is main oracle entity used to store data in oracle database. In above create table syntax Table_Name can be any name that user want to name table. Column_Name1 can be any name that user wants to give to its column.Every column must have Datatype. Datatype can be anything i.e. 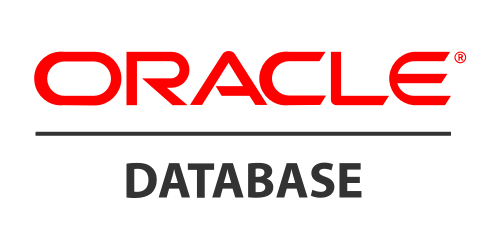 varchar,Number,date etc.We will detaily discuss about oracle datatype in upcoming posts. So if we specify column NULL like above then we have to compulsory specify value to column while inserting record. We can specify column NOT NULL like below in create table query then value of the column can not be null. So if we specify column NOT NULL like above then we can exclude column or set blank value to column while inserting record. Primary key is used to uniquely identify the record from table. Primary key should not be NULL. Here Constraint_Name can be anything and Column_Name must be table column that we have to assign as primary key. Click Here for ALTER TABLE ORACLE article. Oracle is Relational Database (RDBMS) used to Store and Retrieve Data in the form of Table Structure. Oracle used SQL (Structured Query Language) language for create, read, update and delete operations to read and write data to and from oracle database tables. Oracle is mostly used by big companies in their enterprise applications . Click Here to learn how to create table in oracle database. PhoneGap is a mobile application development framework by adobe system to make one mobile application for all mobile operating system. So we can call PhoneGap as platform independent mobile app development. The app made using PhoneGap can run on all famous mobile operating systems like Android, ios, blackberry and windows. So Nowadays PhoneGap becomes very famous due to all these features. When to use PhoneGap : The developer who want to put his website into the mobile application either online or offline can use PhoneGap to develop mobile application fast using website technology languages. 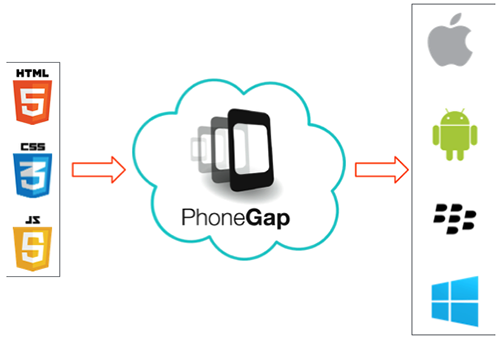 We will see how to setup environment to use PhoneGap and how to develop app using it in upcoming tutorial. Thanks for reading the article. Give your valuable feedback we will come with more interesting articles soon. Android Intent: Android intent is a object which carrying an intent or message from one component to another component inside an application or outside the application. 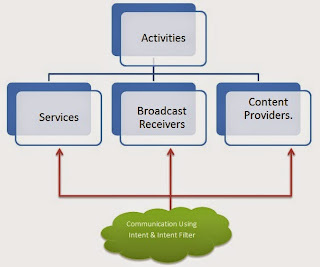 Android intent is a communication medium between any android core components- services,activities and broadcast receivers. We can use android intent to send data from one activity to another activity with application. Android intent used while to call native android services from our application like calling camera, web browser, calender or any other native android service. Explicit Intent: Explicit intent specify the component to start by name directly because we already know the component name that we have to call. We mostly use this intent to start the component in our own application. For example to start a new activity on user request we directly specify the activity name in intent object. Implicit Intent: Implicit intent does not specify the name of component directly instead it specifies the action name which we have to perform which allows a component from another app to handle it. For example if we have to take photo in our app so instead of making camera functionality in our app we can use native android camera to catch the photo using implicit intent. So like this we can use intent in our android application to use android system native functions using implicit intent and to communicate between different android component (Activities,Services and broadcast receivers) using explicit intent. Thanks for visit and reading the article. We will post more android related article soon. Please give your valuable feedback.